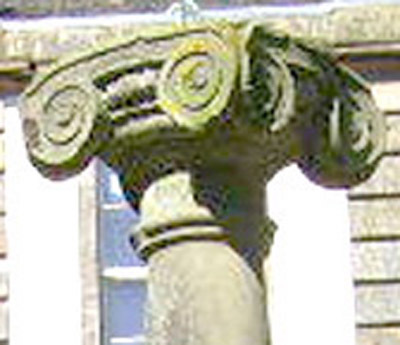 Stolen from Fife, Scotland on 26 October 2006. An 18th Century Grade B listed 5ft stone sundial, on column shaft with Ionic capital, which had been with our house since 1790. Base quite simply carved with top ornately carved with four scrolls on the top at each corner. 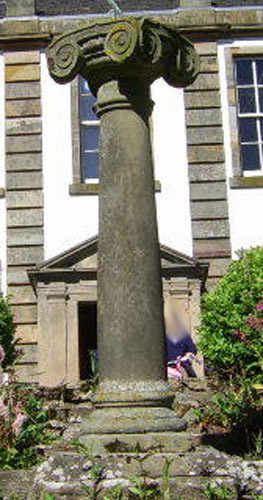 The metal sundial on the top has two circles with roman numerals.